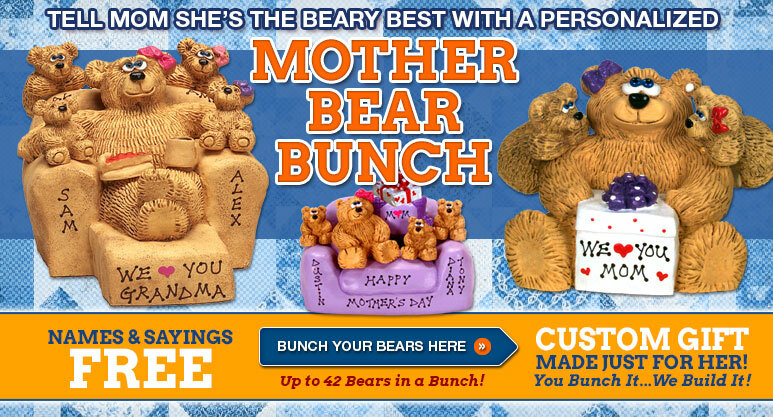 Best Bear Bunch are Personalized Gifts from Family for Mothers, Fathers, Grandparents and Parents. Up to 42 Bear Figurines of the Whole Family can be Custom Arranged on a Chair. 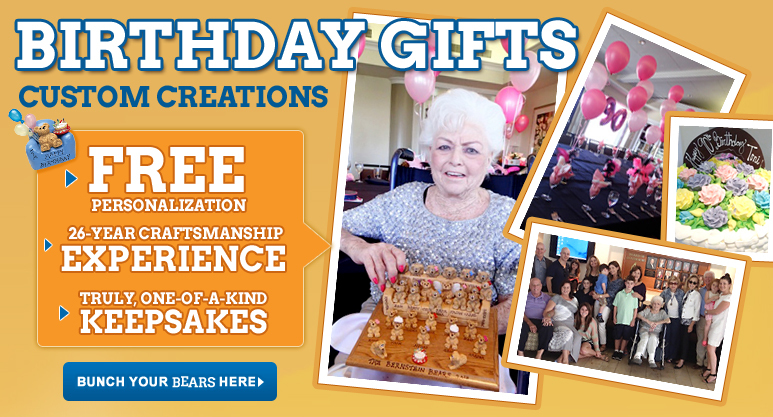 Customize Your Own 50th Wedding Anniversary Gifts for Parents, 70th Birthday Gifts and Mother's Day Gifts from the Whole Family. 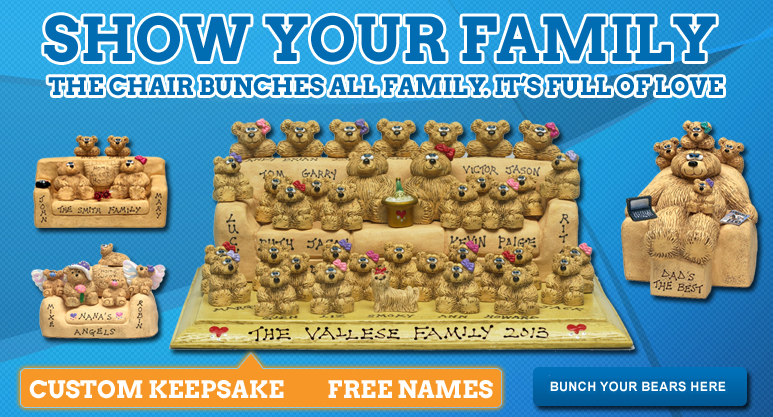 A Custom Message and All Family Member Names are Personalized Free, as Always. Enjoy Free Shipping, Free Personalization, and Our 26-Year Craftsmanship. 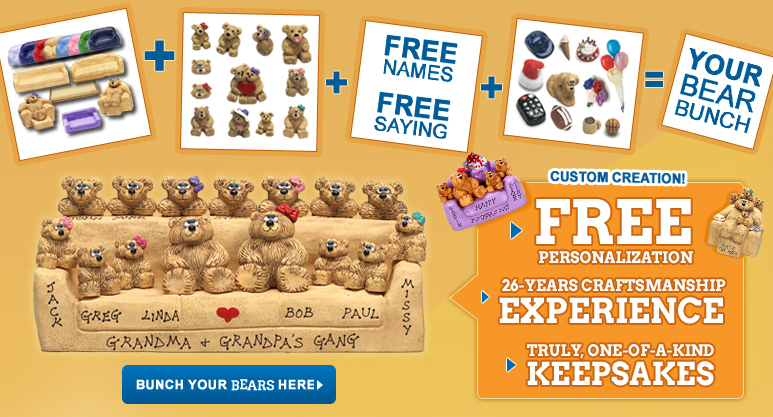 Now You can easily build best bear bunch in the way you like for any Christmas, Holidays or Special Occasions, with 1-42 bear figurines as the family members. For extra personal touch, give an expressive saying Free of Charge such as "Grandma and Grandpa's Gang." To make your personal creation even more unique, add the personifying accessories including the miniature birthday present, flower bouquet, football and etc. Build Bear Bunch Today and Make Your Bunch Happy for Years to Come! 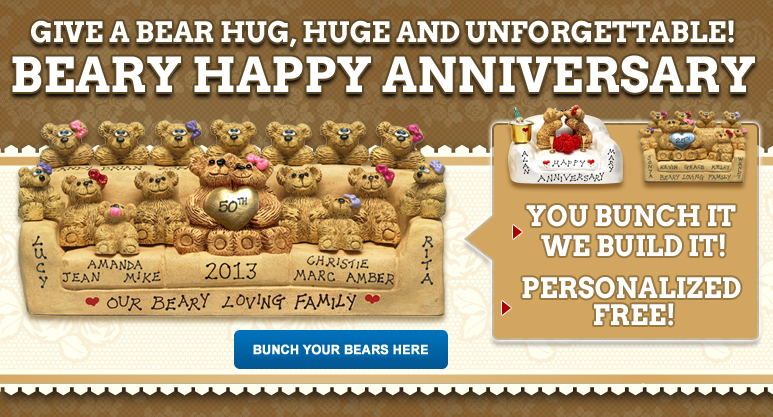 Best Bear Bunch, Customized Teddy Bear Gifts for the Whole Family Personalized Free since 1988!